Yesterday, Durante Rentals ran a booth at the 28thAnnual Equipment and Vehicle Show. Every year the show features the latest gear, equipment and safety features in the construction industry. Companies from across the country come to display their products and negotiate partnerships. Booths offered free food, giveaways and opportunities for our team to make some valuable connections with vendors offering cutting edge products and services. Thanks to some quick thinking by Team Durante, Takeuchi machines lined the famous Corona Park Unisphere, and the Durante booth was located right in the center of the show. Throughout the day dozens of Durante fans and potential customers stopped by the booth to grab a t-shirt and say hi to the team, including some of our youngest fans who had a great time playing on our skidsteers, and eating candy from the bucket in our excavator. Durante Rentals thanks the NYC Parks Department and NYC Citywide Administrative for another successful show. We look forward to attending this event again next year. 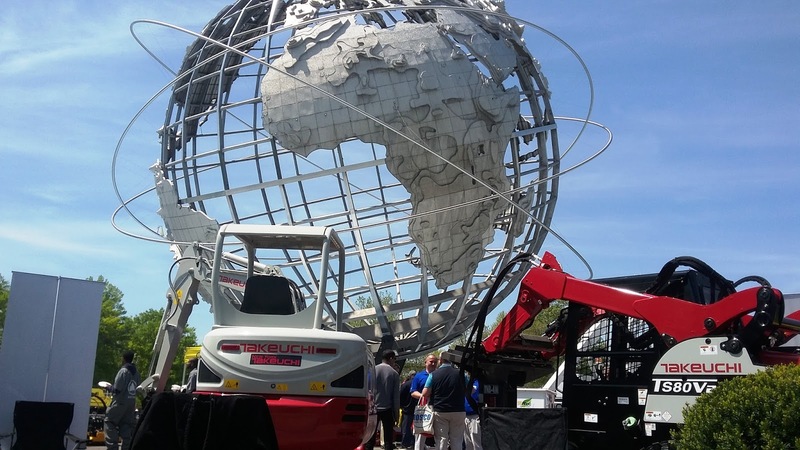 New York, May 9, 2016 -- Durante Rentals LLC, New York’s fastest growing privately-owned construction equipment rental company, has opened its sixth location in West Nyack, New York. Located at 78 NY-303, at the former site of Westchester Burger, this hub represents a new opportunity to bring their award-winning customer service and expansive line of construction equipment to Rockland County. Their other locations are conveniently located in Flushing Queens, the Bronx, Mt. Vernon, Elmsford and Carmel, NY. Durante Rentals takes pride in their hard-earned reputation across New York City for having one of the friendliest and most knowledgeable staffs in the industry. This level of service and expertise is sure to be a boon to the Rockland County business community. 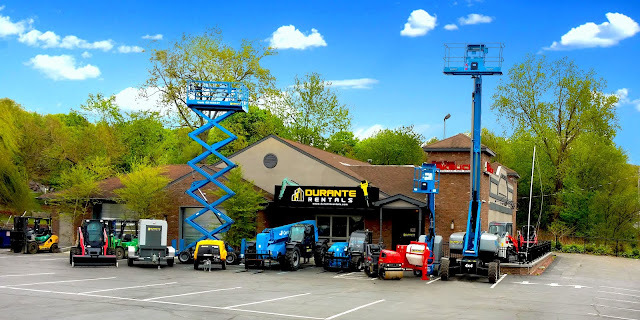 Durante Rentals carries a large variety of construction and general contracting related equipment including boom lifts, skid steers, air compressors, cement mixers, scissor lifts, light towers, landscaping and earth moving equipment. As Rockland County’s exclusive Takeuchi dealer, the West Nyack location will showcase the extensive line of Takeuchi compact excavators, skid steer, track and wheel loaders under the New York Takeuchi brand. 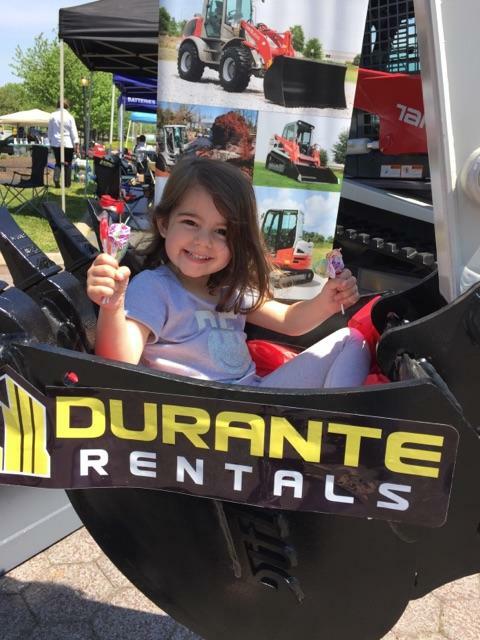 Durante Rentals has always had a strong focus on community involvement with local charities, municipalities and small businesses and are looking forward to becoming contributing members of the local West Nyack and Rockland County communities. Founded in 2009 by three entrepreneurs, Durante Rentals is the most trusted name in construction equipment and tool rentals in the New York tristate area. Construction professionals look to Durante for all their equipment needs including excavators, skid steers, light towers, generators, compressors, forklifts, air tools, boom lifts and more. Now with six convenient locations and counting, their geographic footprint continues to expand while servicing all five boroughs of NYC, Westchester, Putnam and Rockland Counties, Connecticut and New Jersey. For more information about Durante Rentals, visit www.DuranteRentals.com.